Helen (Gros) Sanker, age 72, of the Kansas City Northland, passed away after a long battle with Chronic Lymphocytic Leukemia, Wednesday, October 24, 2018, at NorthCare Hospice House. Visitation for Helen will be Monday, October 29, at St. Patrick Catholic Church, 1357 NE 42nd Terrace, Kansas City, MO 64116. Rosary will be prayed at 5:45 p.m. with the Visitation to follow from 6:00 to 8:00 p.m. at the Church. The Mass of Christian burial will be Tuesday, October 30, at 10:00 a.m. at St. Patrick Church. Burial to follow at Forest Hill Calvary Cemetery, 6901 Troost Ave, Kansas City, MO 64131. Helen was born the daughter of Edward and Martina Gros of Wheaton, KS. She is survived by her husband, Lawrence, of the home; daughter, Denise Sanker (Randal Keith), Blue Springs, MO; daughter, Karen Goodsell (Dan) and grandchildren, Danny and Sofie Goodsell, all of Garfield, AR; her siblings, Charles Gros (Diane), Paxico, KS, Lawrence Gros (Brenda), Topeka, KS, Mary Riniker, Topeka, KS, Regina Butts (Bob), Mayetta, KS, Laura Seward (Kevin), Lee’s Summit, MO and Lucy Gros and daughter Hannah who was like a granddaughter to Helen, Kansas City, MO, plus many other nieces, nephews, great-nieces, great-nephews and other family members. In addition, Helen is survived by her foreign exchange students that she and Lawrence hosted: Ana Maria Calle and family, Peru, Sofia Romina Douaihi Acosta and family of Florida, Jacqui Antonietti and family of California, Lenonardo Pino Werlinger of Chile, Gerardo Douaihi and family of Florida and Hildebrando Douaihi of Venezuela. Helen and Larry celebrated 52 years of marriage in September of this year. They enjoyed traveling and spending time with family and friends. Helen especially enjoyed all things related to cooking and spending time in her kitchen trying new recipes. Helen was a member of the Laureate Delta Pi chapter of the Beta Sigma Phi sorority. 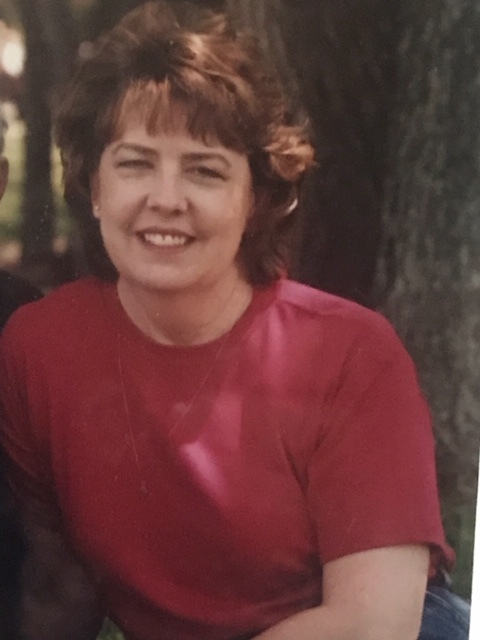 In lieu of flowers, contributions may be given to either of the following in Helen’s name: St. Patrick School, 1401 NE 42nd Terrace, Kansas City, MO 64116 or NorthCare Hospice House, 2800 Clay Edwards Drive, 2nd Floor, North Kansas City, MO 64116. Visitation for Helen will be Monday, October 29, at St. Patrick Catholic Church, 1357 NE 42nd Terrace, Kansas City, MO 64116. Rosary will be prayed at 5:45 p.m. with the Visitation to follow from 6:00 to 8:00 p.m. at the Church. The Mass of Christian burial will be Tuesday, October 30, at 10:00 a.m. at St. Patrick Church. Burial to follow at Forest Hill Calvary Cemetery, 6901 Troost Ave, Kansas City, MO 64131. Aren’t we all so lucky we knew and loved her? Sending love to all those gathered. Sending sympathy to all the members of a wonderful family. So sorry to hear of Helen's death. My prayers and thoughts are with all of you at this difficult time. I am so sorry for your loss and wish that the many special memories you hold in your hearts will help you through this sad time. I have fond memories of the times Helen and I spent together. My prayers go out to all of you, Helen was a very special woman she was so good to me as a young girl. I am saddened for Larry, Karen and Dee and their families. May God fill you with his peace and know that she is in heaven with Him....and my mom Lilly. So sorry to hear of Helen’s passing. My prayers and thoughts are with you all at this sad and difficult time. So sorry to hear of the passing of Helen. Out thoughts and prayer are with you Larry,, Denise and Karen.